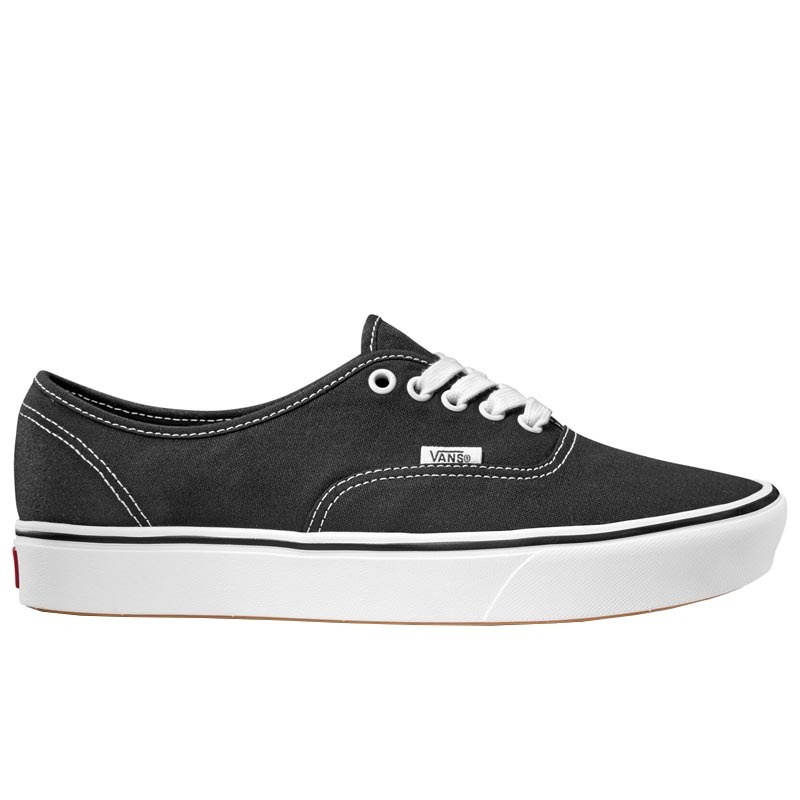 Stay light on your feet in the style you love with the Vans ComfyCush Authentic. This classic Vans offers a comfortable twist with a ComfyCush footbed for instant comfort that will your feet happy all day long. Vans was started in 1966 by brothers Paul & Jim Van Doren along with partners Gordon Lee and Serge Delia as the Van Doren Rubber Company which manufactures shoes on the premises to sell directly to the public. On the first day 12 people purchased shoes which they were able to pick up that afternoon. 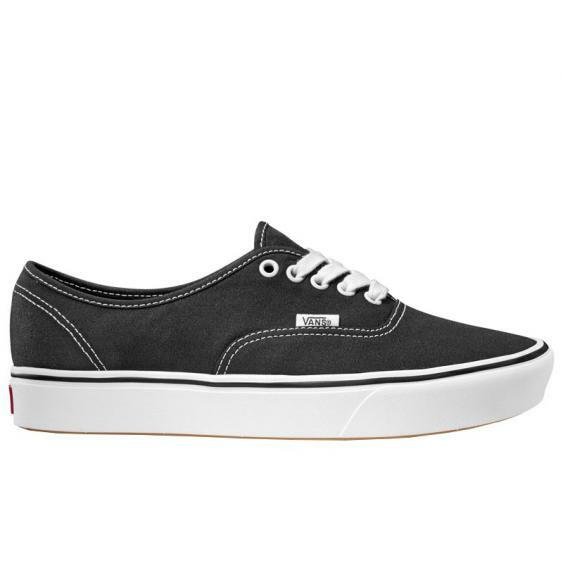 Through the years we have come to know Vans for their vulcanized construction, waffle outsoles, and up-to-the-minute style. Their simple design, paired with their ability to stay on trend has made Vans an iconic look that everyone wants in their wardrobe.